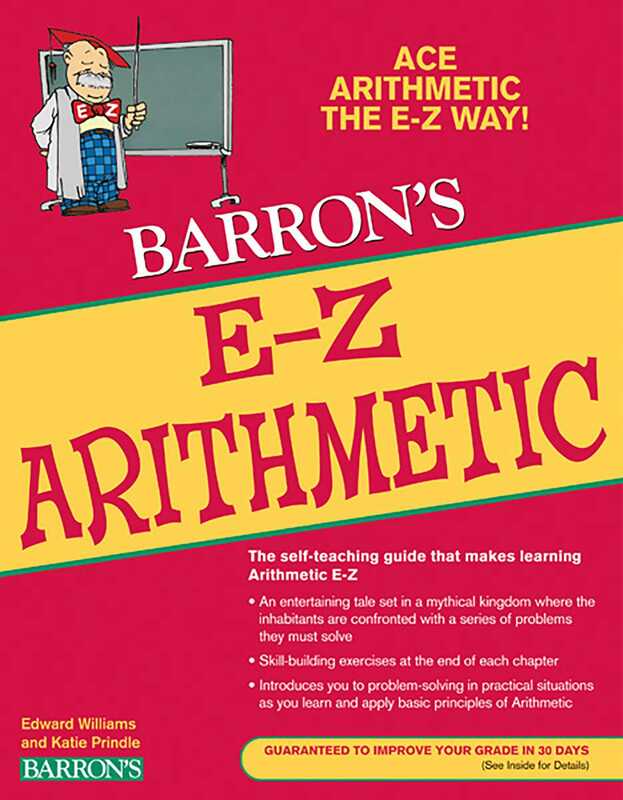 Barron's growing list of E-Z Series titles are new, updated, and improved versions of Barron's longtime popular Easy Way books. New cover designs reflect the all-new interior layouts, which feature extensive two-color treatment, a fresh, modern typeface, and more graphic material than ever. These books are self-teaching manuals designed to improve students' grades in a wide variety of academic and practical subjects. Skill levels range between senior high school and college-101 standards. All titles present detailed reviews of the target subject plus short quizzes and longer tests to help students assess their learning progress. All exercises and tests come with answers. This handy brush-up for students and general readers reviews the basics of arithmetic as it's used in practical, everyday situations. Topics covered include addition, subtraction, multiplication, division, fractions, decimals, percentages, units of measurement, and word problems.